Wall mural Pokemon. 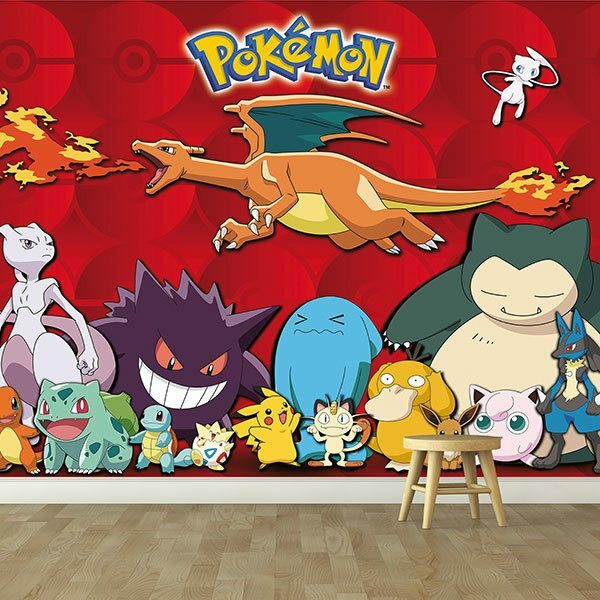 Composition of the most famous pokémon, ideal for decorating children's rooms with these Japanese characters. 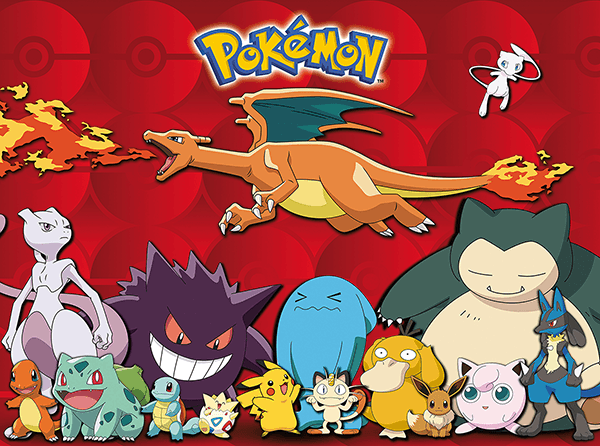 The video games are developed by Game Freak and distributed by Nintendo. 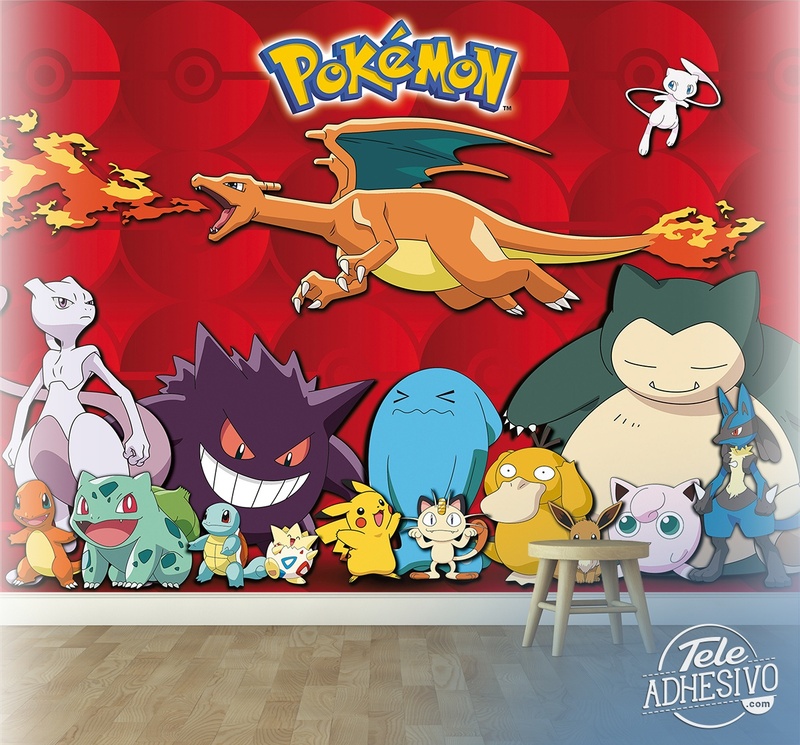 The mission in these games is to capture and train the creatures, the pokémon.